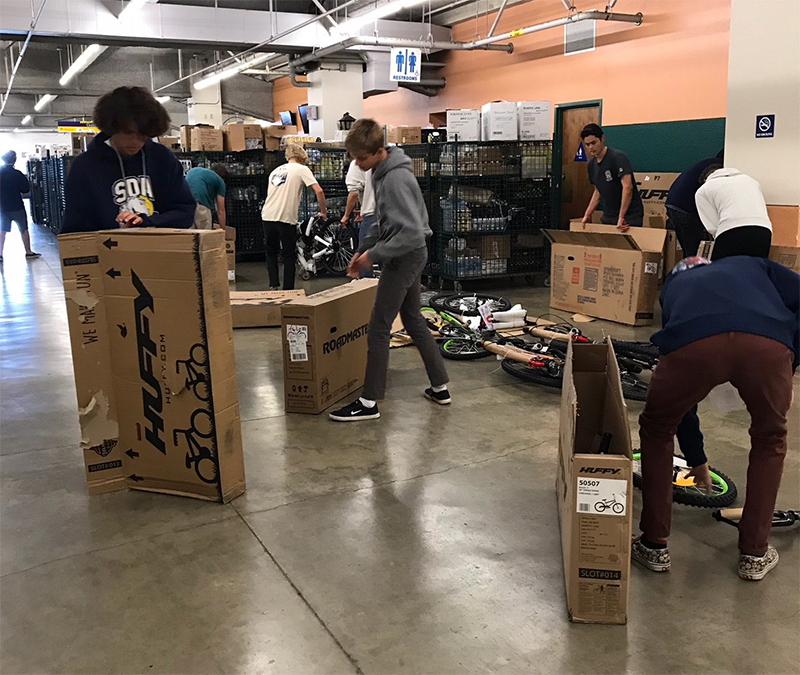 Encinitas CA— The San Dieguito High School Academy Boys Water Polo Team helped out with the Encinitas Resource Center’s Holiday Baskets at the Del Mar Fair Grounds Saturday, December 2, in preparation for the Holiday Baskets event that will be held December 15 to 17. As part of the team’s commitment to community service work, they unboxed bikes and sorted food. This is SDA’s Boys Water Polo Team’s fourth year participating in the event. The Community Resource Center’s Holiday Baskets is San Diego’s largest distribution program, providing a dignified and free shopping experience for families and individuals in need.